August 19th 1983 when the paper cost 12p! 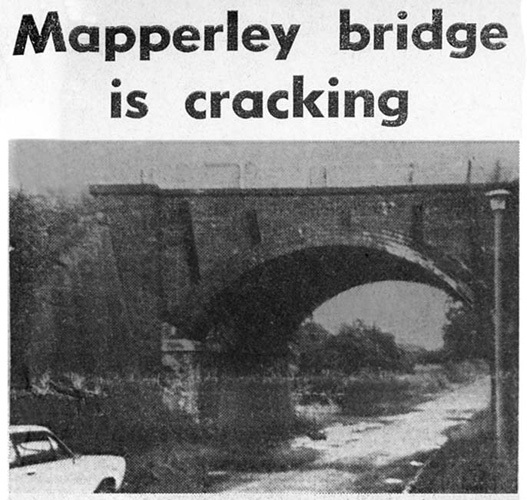 THE Coal Board will make repairs to Mapperley bridge—if it is unsafe! A spokesman this week told the Advertiser that "engineers have inspected it and are making reports, and if it is unsafe we will take the necessary action." The promise came after Mapperley Parish Council sent a letter to them which told how cracks an inch wide running from top to bottom had appeared in the bridge at the bottom of Mapperley Lane, halfway between West Hallam and Mapperley Village. A letter was also sent to Derbyshire County Council whose spokeswoman stressed they did not own it but said: "We have looked at the bridge and decided that repairs are required but it is not in danger of collapse." The bridge once carried the Ilkeston-Derby line but more recently was used by heavily-laden coal lorries from a nearby open cast coal Mine. which has now closed. The pond is just a few minutes walk from the village.The road today leads down to Mapperley Reservoir Car Park with no vehicular through access to Shipley. This is a popular spot for walkers, anglers and bird watchers. The reservoir was built by the Nutbrook Canal Company as a feeder for the canal and is now a haven for wildlife. Park Hall Lane to Shipley Hall. The bridge spanned the brook before the reservoir was built 1896. 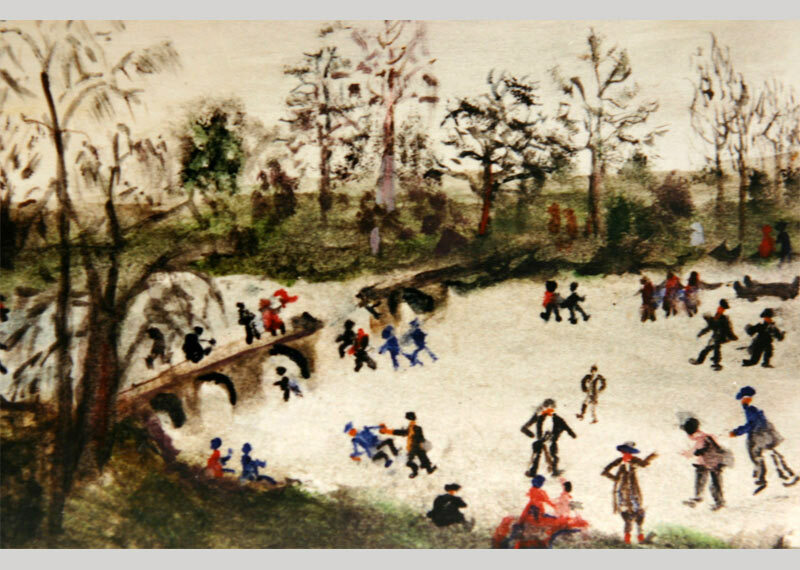 The 'pond' was contructed in 1820 using home-grown labour. 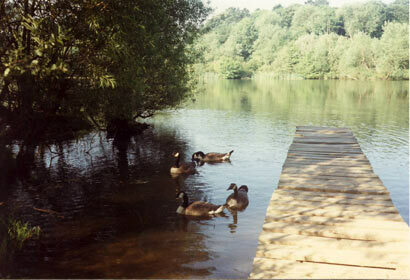 It is an 18 acre lake with a 2 acre nature reserve surrounded by trees. It's stocked with pike, roach, bream, tench and perch, but famed for the biggest carp caught in Britain, nicknamed 'Clarissa' and weighing in at 26 lbs. It was subsequently stuffed and kept at Wollaton Hall near Nottingham. The Nutbrook Canal was a canal which ran between Shipley, Derbyshire and the Erewash Canal, joining it near Trowell. It was built to serve the collieries at Shipley and West Hallam, and was completed in 1796. It was initially profitable, but from 1846 faced competition from the railways, and more seriously, subsidence caused by the coal mines that it was built to serve. With the mines failing to pay tolls for goods carried on the canal, and in some cases refusing to accept responsibility for the subsidence, most of it was closed in 1895, although the final 1.5 miles (2.4 km) remained in use until 1949. 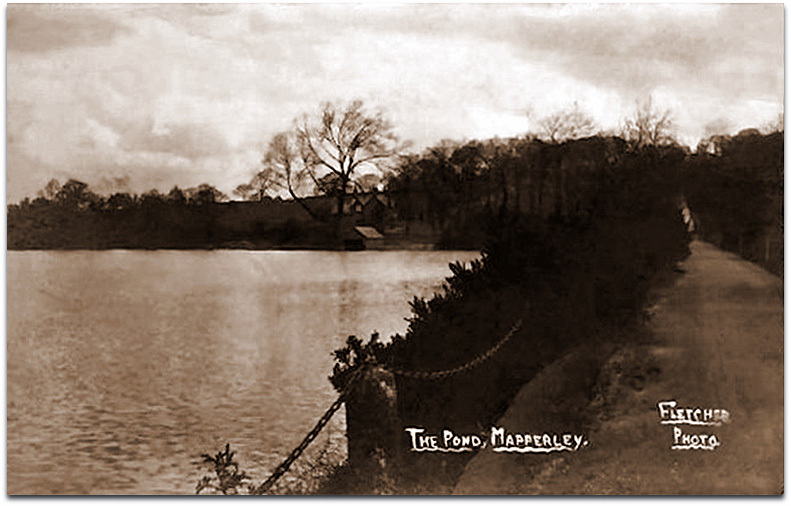 The Mapperley Pond (or Reservoir) near Ilkeston and Heanor, Derbyshire, pictured pre 1908.
during a very overcast and gloomy deep winter's day. Thursday, July 24th. 1930 was an important date in the history of Mapperley Reservoir. It was on this date that a British angling record was broken. Fisherman, Albert Buckley caught and landed a Carp weighing 26lbs. At the time this was a British record. The fishing that day was particularly good for Albert as he also caught three other Carp weighing 9lb. 11lb. and 15lb and also Roach weighing 2lb.-12oz and 3lb.-6oz. The Carp weighing 26lb. held the record until the 3rd. October 1951 when a Carp weighing 31lb.-4oz was caught at Redmire Pools in Herefordshire. 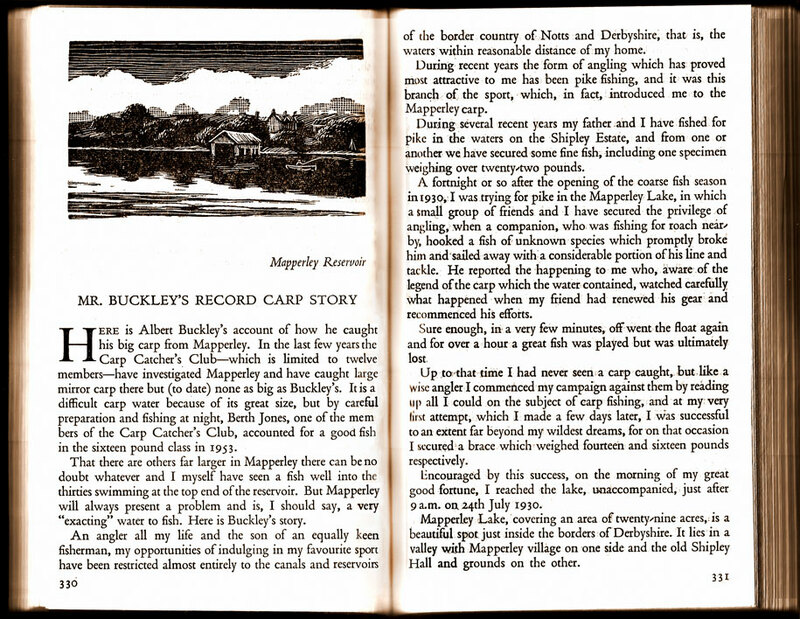 How Albert came to be fishing at Mapperley is unknown as the reservoir was private fishing. One story is that Albert received permission to fish the reservoir from the land agent when he saved a young boy from drowning. Unfortunately Albert died in1949 aged 61. I know no more of Albert and probably someone could provide more information on him. 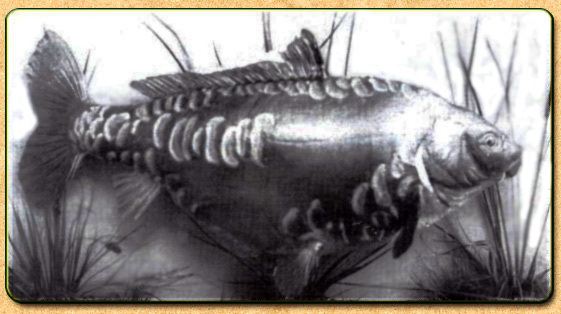 From a Carp fishing web-site I discovered that the Carp Albert caught was preserved and in the possession of Wollaton Hall Museum. I visited the museum to see if the Carp was still there. Not being able to find the Carp I made enquiries of an attendant who took the details and promised to check that the fish was in their possession. Some days later I was contacted by the curator Dr. Sheila Wright who assured me that they still have the fish and as space is limited only 10% of their exhibits can be displayed at any one time. However she did promise to contact me again when it would be possible to view and photograph the fish. Just to put the record straight regarding Alber Buckley’s record carp caught at Mapperley Reservoir. The name given as Clarissa is wrong I’m afraid. 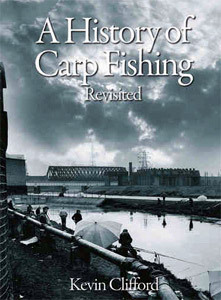 Clarissa was the name given to the 44lb record carp landed by Richard Walker at Redmire Pool in 1952. Clarissa was moved to London Zoo after capture and lived until the 1970’s in an aquarium for all to see. A sorry end for such a magnificent fish as its weight dropped down to around 26lb the same as Albert’s fish after many years in the aquarium. I also thought that the set up fish at Wollaton Hall was actually a replica of the original one. We had the original one for many years at Walkers of Trowell (I worked there for 25 years) on loan from the Buckley family before they telephoned one day asking if they could come and collect it. I believe the original resides in Wales now. Hope this is useful to you but certainly the name is very wrong. Clarissa was probably not born when Albert caught his fish. This painting shows the bridge over the far end of Mapperley Reservoir. It shows ice skating on the lake February 1929. The artist was Gladys Tuton/Hardy her granfather was the first station master at West Hallam Station. The lane leading down to the bridge was known as "Old Pit Lane". As you can see by this time the bridge had been blown in the centre. This was to prevent children using the bridge as a diving board during the summer months. This was due to a boy from Mapperley Village who dived off the bridge and struck his head on a large stone in the water. I was given this account by a lady of the name Mrs Manchester who said the boy was a relative. After the accident the miners from Simon pit were sent for to blow up the middle section. The artist who painted the Mapperley Bridge was Gladys Hardy later Turton, local artist and historian. 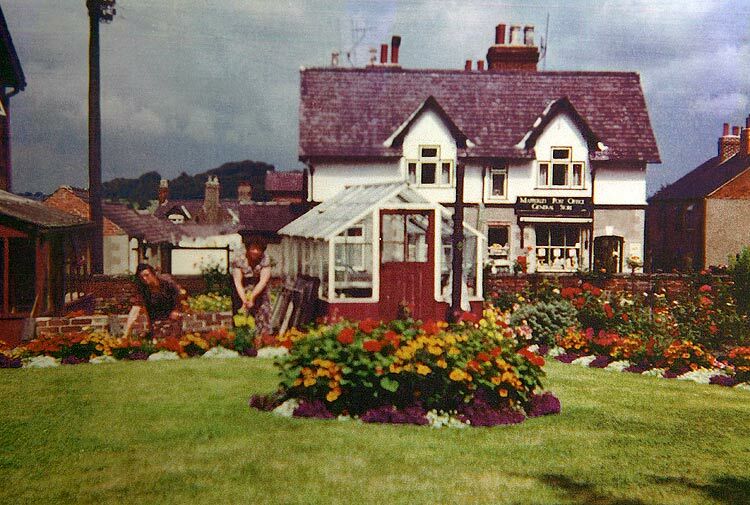 Her grandfather was the first station master at West Hallam Station named John Pound. Her mother Mary Pound was born in 1883 at West Hallam Station. After that her grandad moved to Basford and was also Station Master at Ilkeston North and goods for 23 years. Mapperley Reservoir frozen solid. Temperature 4 degrees below. February 1929. Long Black frost. Near the old Road Bridge. Road used by miners. Central arch removed in 1895 after new road from village was built. Preventing miners from using the road. But children still used the bridge to play on and dive into the water. Until accident of a young boy from the village drowned by diving off the bridge. It is said he hit his head on a rock when he dived into the water. After this accident more arches in the bridge were blown by the Mapperley pit miners on the orders from Shipley Hall. Thus leaving just shallow water. Nottingham Evening Post 25th May 1929 under Young Womans Bravery. Drowning of a boy happened Thursday 23 May 1929. Douglas Patrick Hudson aged 12. Drowned Mapperley Reservoir. Harriet Greatorex aged 18 from Mapperley village although unable to swim tried to rescue the boy. Thomas Hawley miner of Mapperley Colliery gave artificial respiration. Miss Greatorex saw Hudson enter the water and he appeared to be trying to swim when he disappeared. She saw him on the bottom of the reservoir. Then the water came over her head and she had to scramble out. Thomas Hawley was fetched from his home. He entered the water and could not find the boy. After dragging operations the boy was found in about 6 feet of water about 12 yards from the bank. Artificial resperation tried for two hours without success. Thanks to Roger Wood for this picture and information. The water tower had to be erected when the village water supply was supplied by the Ilkeston and Heanor water board. Like all villages the main water supply came from the village street pumps and wells. When the water board supplied water on tap to all the properties serious problems occurred due to low pressure. This being due to Mapperley being built on the hill. The problem was resolved by building a water tower storing the water which could then be gravity fed to houses solving the pressure problem. Water being pumped to the top of the tower. Of course later technology moved on, and pumps took over from water towers then these were no longer required. ONE'S first impression of the post office at Mapperley, seven miles north-east of Derby, is a visual appreciation of the clean-cut lines of the black-and-white corner site building in which it is housed. In charge of the post office is Ilkeston-born Mrs. Sylvia Shooter. Mrs. Shooter has been the sub-postmistress here since 1958. Prior to that the post office was sited across the road in the charge of the late Mrs. P. Boam. If Mapperley (Derby) has a cross to bear it is the fact that also in the Midlands is a place of the same name in the northern part of the borough of Nottingham. True, Mapperley (Nottingham) post office is styled Mapperley Plains. But that doesn't prevent letters with hastily-written or inaccurate addresses straying over the neighbouring border. The Post Master General sanctioned a free delivery of letters in Mapperley in February 1850. Before this the village was seriously inconvenienced for want of a regular delivery. Ilkeston was the nearest Post Office to Mapperley and West Hallam, 3 miles distant. There was a charge of at least 2d per letter for delivery from Ilkeston to Mapperley. 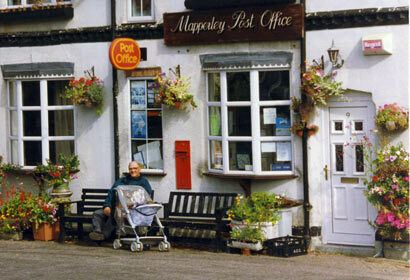 West Hallam established a Post Office in December 1850 with Mapperley opening their first Post Office in February 1851, connected to the village shop. Post Master, Grocer, Druggist and Book Seller. An area near the shop was called Moon's Yard. How long he kept the business is not known, but he still at the post office in 1876 . By 1895 Mrs Kezia Hart was the Sub-Postmistress. She held this post until 1925 when daughter Miss Mary Hannah Hart took over. With postal deliveries came another problem for the postman. All of the Streets were unnamed. Being known by the villages as areas named after local families or a feature. The street leading to Slack Road was unofficially Walker's Yard. The unmade road opposite the school known as Round Pool but to most residents it was always 'Cow Muck Row'. At the crossroads the area was 'Top of Street'. Polly Boam ran the Post Office which was in the first of the semis on the right side of Walker's Yard. The Post office and General store on the corner of Main Street (Top shop) was owned by Arthur and Sylvia Shooter from about 1959. From its well stocked shelves almost anything asked for, from an ice lolly to a hot water bottle could be produced in a moment. Jean & Andrew Marsden ran the shop after Sue Hardman in 1995 up until 2002 when the people who (at the time) ran the Corner Shop at Belper Road took it over as their second shop for about four months. Top shop closed the 1st week in June 2002 (the Queens Golden Jubilee). The shop had only been closed a few days before a fatal car accident when a car ran into the shop.